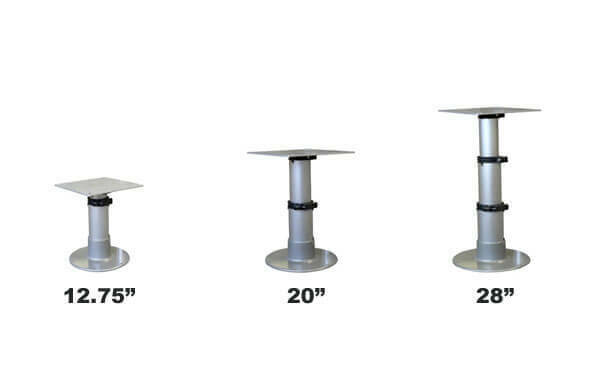 Can adjust to any height between 12.75" to 28"
The Springfield Gas Powered Table Pedestal will allow you to position your RV table at several different heights. 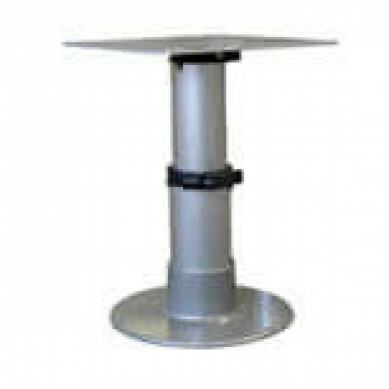 This table pedestal can adjust between 12.75" and 28", with a secure height lock to make sure the pedestal stays at whatever height you desire. Sturdy construction from high-quality material ensures easy installation and a tight fit!